The Habano wrapper is one of the most storied tobaccos in our arsenal. The Habano wrapper is one of the most storied tobaccos in our arsenal. From the blast of pepper to the hints of floral and citrus throughout, this cigar delivers a wide range of complex flavors. It’s the smoke that’s got the looks and the flavor to back it up. 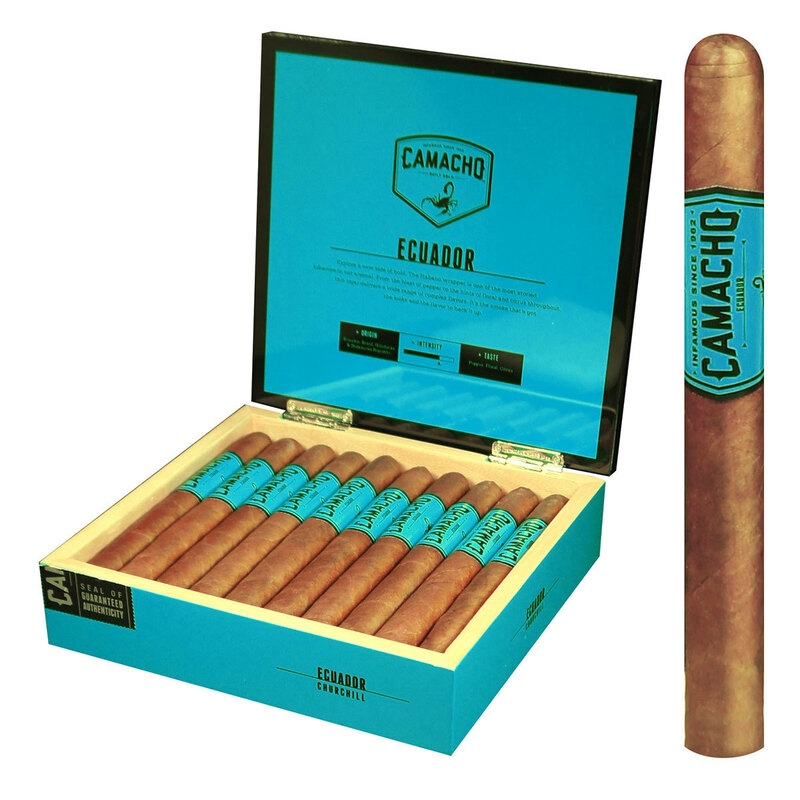 Unique in color, texture and aroma, the Ecuador Habano leaf is one of the most storied tobaccos in the Camacho arsenal. Grown in the rugged soils beneath the towering Andes, its immense versatility has opened the doors for our builders to experiment and innovate. This dynamic blend features an earthy Brazilian Mata Fina binder, a pair of powerful, high-priming Honduran tobaccos and Dominican Pelo de Oro Ligero for the filler. The result is an intense, full-bodied cigar as balanced as it is loud. From the initial blast of pepper to the hints of floral and citrus throughout, Camacho Ecuador is a high-impact cigar that delivers an endless range of complex flavors.